ON THE COVER — Shirley MacLaine. Photography by Sidney Baldwin. Our epicurean adventurer set out to a wide field of restaurants that opened in 2005. Following her gastronomic endeavor, Palm Springs Life asked her to recommend the best. . Photography by Jonathan Exley. 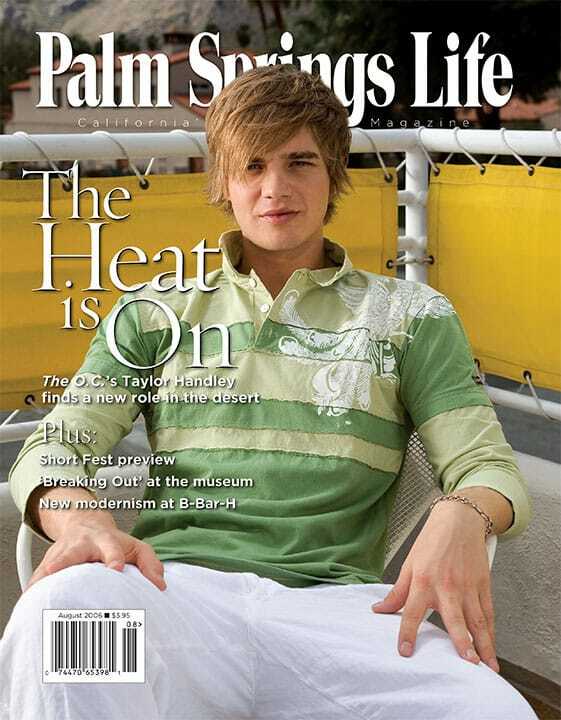 Styling by Susan Stein. You might need a limousine to get around in these made-for-Hollywood fashions. 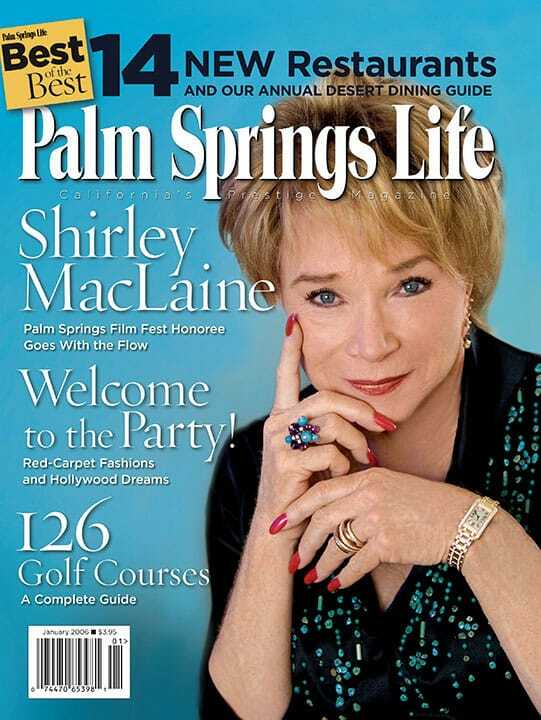 Shirley MacLaine takes a relaxed view of her Palm Springs International Film Festival lifetime achievement award. The Palm Springs International Film Festival program aims to expand its audience. Festival brings film lovers together for 10 days. Photo contest entries capture the scenic wonders of the desert mountains. The Classic Club joins the Bob Hope Chrysler Classic rotation; Pete Carlson celebrates 25 years in the desert; and listings of more than 120 Coachella Valley golf courses. A visually enticing look at many of the desert’s best dining destinations.